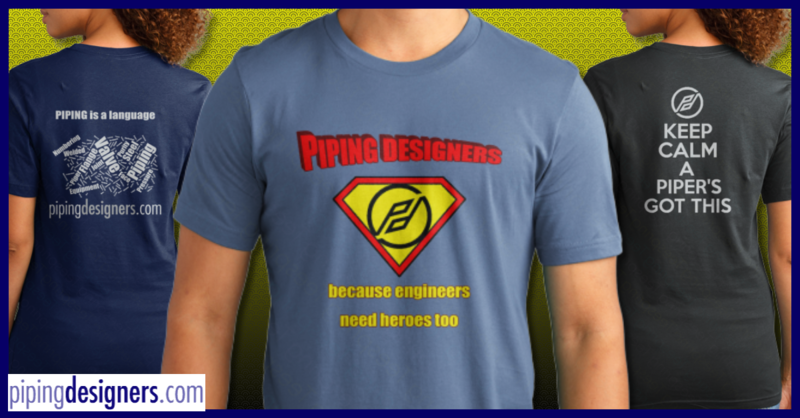 Piping Designers . com - Blog 1L: Who is Beauregard Gustafson? You may say, Who is Beauregard Gustafson? I have never heard of anybody by that name. You are right, you may have never heard of him by his full formal name but you know him by his pseudonym (alias or nom de plume). Beauregard Gustafson is better known as Beau-Guss (pronounced ˜bo-gus" (1)). He is famous for his often wild and inaccurate statements and ideas often considered not genuine; counterfeit; spurious; or a sham. Beau-Gus is quite a versatile individual. He seems to get around to almost every profession, industry, trade and craft. He appears to be the classic 'Jack of all Trades, master of none'. As he moves from one environment to another he leaves a trail of false hoods and ideas that can get people in trouble. You can not always recognize a Beau-Guss statement or solution from the real thing because they all seem to sound logical. They also seem to be new and different from the current tried and true method which has a long standing success record. The best defense against these new sounding Beau-Guss ideas is to do some research and find out if the new idea has undergone any actual field testing. How many tests were done? What were the variable of the tests? Did the actual testing cover the evaluation of all the different variables? Beau-Guss has made his way to the Piping field on a number of occasions and has left his questionable foot prints. The results of these visits (and the invalid ideas) often leave people in a state of outright confusion which results in wasted time, effort and revisions to designs because of the miss-direction. I am sure there are others examples of Beau-Guss thinking out there. If you know of any others please feel free to add them to the list. COM_KUNENA_TOPIC Blog 1L: Who is Beauregard Gustafson? A wonderful post on a topic that touches every piper at some point in their career. On a relevantly recent project, I found myself embroiled in a bit of a Mexican standoff with the lead mechanical engineer on the project. We didn't see eye to eye at the best of times, mainly because he didn't believe that someone without a P.Eng could possibly have a valid opinion on anything remotely to do with plant layout and design. 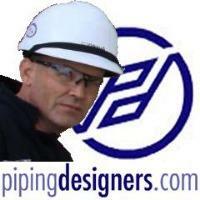 He was insistent on all pump suctions having 10d of straight pipe up to the suction nozzle of the pump. I refused to follow this request, in the grounds that it was lunacy ... and I was the piping lead. I simply asked him to show me where any code or standard called for this. Needless to say, all he could produce were examples from previous projects - not good enough. "That's the way we've always done it" cannot form the basis of good design.